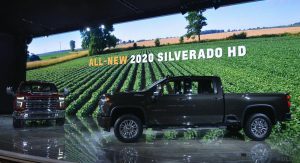 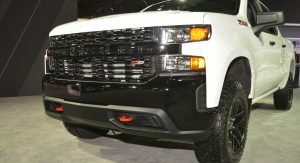 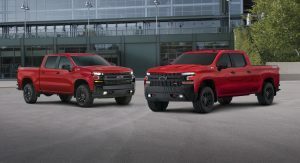 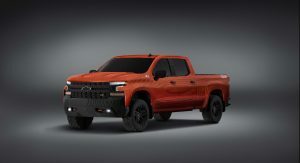 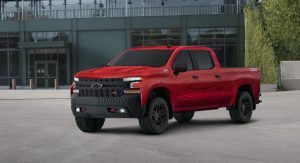 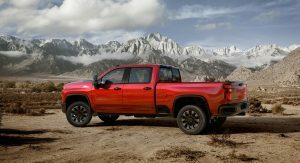 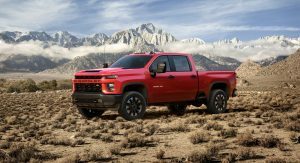 The 2019 Chicago Auto Show marks the official public debut of Chevrolet’s 2020 Silverado HD model, a truck so capable that it can tow up to 35,500 lbs (16,102 kg), which marks a 52% improvement over what its predecessor could do. 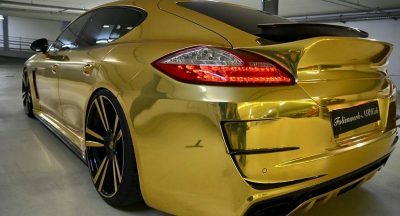 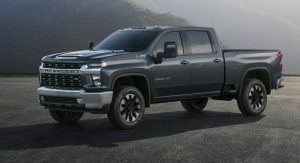 Its secret weapon is a 6.6-liter Duramax turbo-diesel V8 engine, producing 445 HP (451 PS) and 910 lb-ft (1,232 Nm) of torque, sent to the wheels through a new 10-speed Allison automatic transmission. 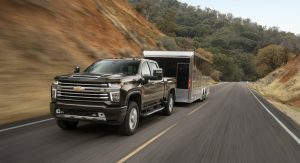 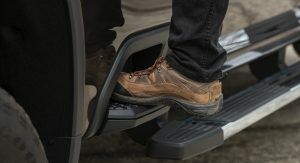 The new Heavy Duty Silverado also boasts upgraded axles and a stronger ladder box frame, a “more conveniently located” DEF fluid tank, and 3 additional inches (7.6 cm) of legroom on crew cab models, as well as a taller and more comfortable seating position. 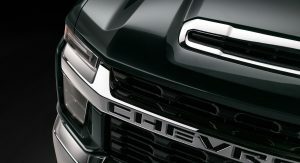 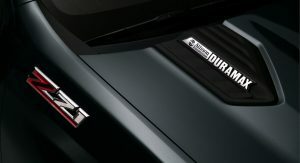 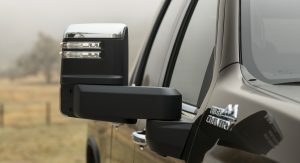 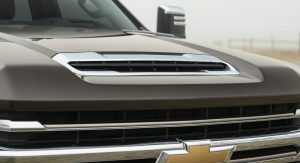 While each Silverado HD model features distinct exterior design traits, like different types of grilles with either Chevy’s stamped bar or bowtie logo, customers looking for a flagship touch can direct their attention to the High Country version, which has an exclusive mix of black, body color, chrome and two-tone metallic trim. 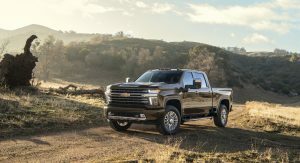 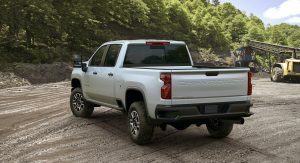 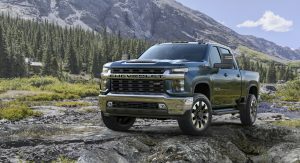 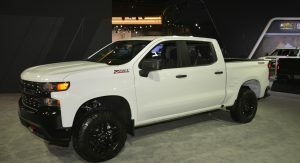 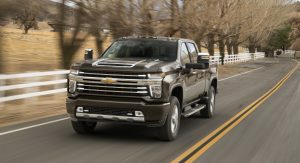 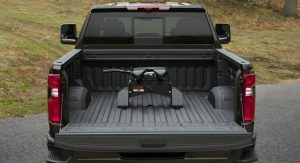 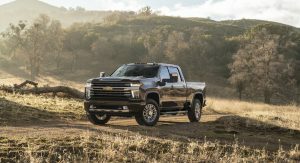 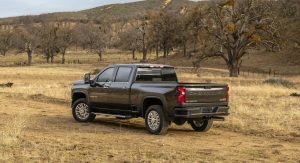 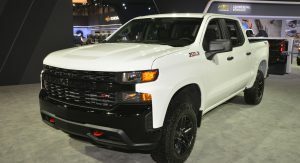 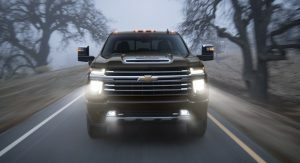 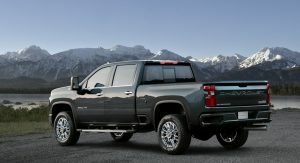 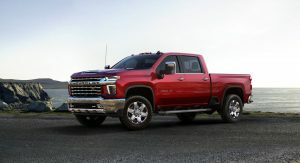 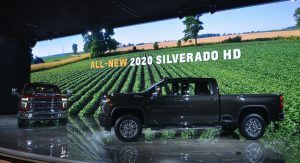 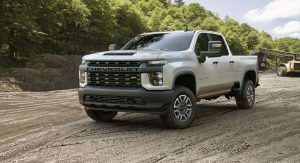 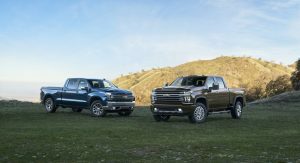 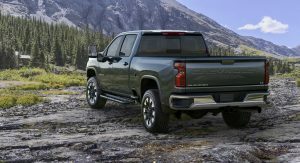 The all-new 2020 Chevrolet Silverado HD will go on sale in mid-2019, when customers will be able to choose between two powertrain options – a new gasoline engine with direct injection (mated to a six-speed transmission), or the previously-mentioned Duramax turbo-diesel V8 and its new 10-speed gearbox. 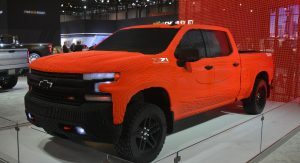 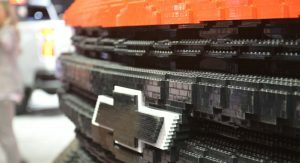 Also present in Chicago is a 2019 Silverado 1500 LT Trail Boss truck, built entirely out of LEGO bricks. 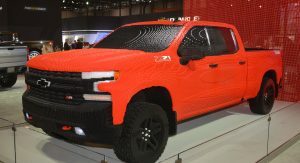 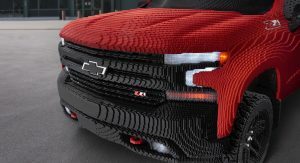 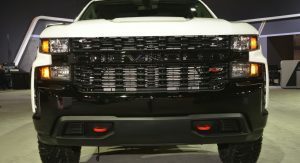 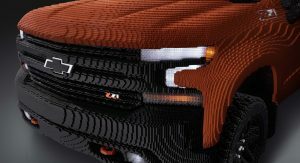 Unveiled initially in Detroit, the LEGO Silverado measures 72 inches (1.8 meters) in height, 240 inches (6 meters) in length, is 96 inches (2.43 meters) wide and weighs roughly 3,307 lbs (1,500 kg). 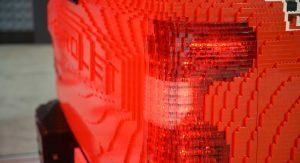 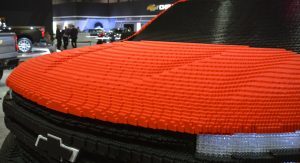 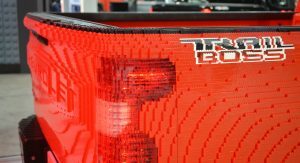 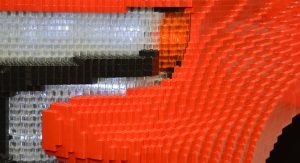 No fewer than 334,544 LEGO bricks were used in order to put this truck together, the most common of them being the red 2×8 stud brick. 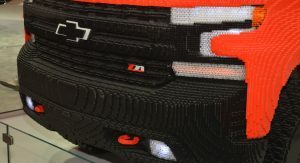 As if this build wasn’t already impressive enough, Chevrolet made sure to also give it unique working lights and graphic details. 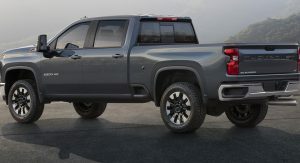 How many times have they redesigned (Not facelifted,.. but redesigned) This Truck since The 2015 Ford F-150 Was Released In 2014? 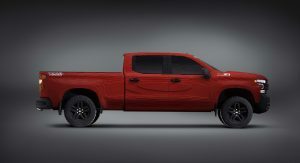 Every other year since then it has felt as though Chevrolet has been trying to play ‘catch up’ (maybe it’s just me). 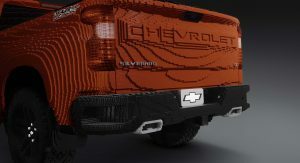 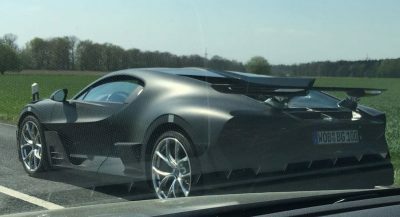 The HD seems as though it will be facelfited or redesigned within the next 300 to 650days, & Ironically the LEGO version of the Entry Model looks Better than the actual vehicle itself (in my opinion). 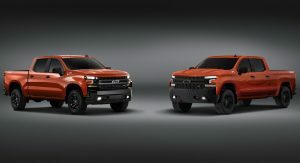 With that said though, I do think the Silverado (the non HD variant at least) hit it’s mark as I actually think it’s a great looking Truck. 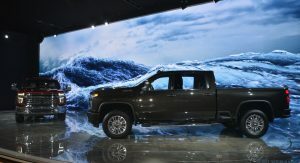 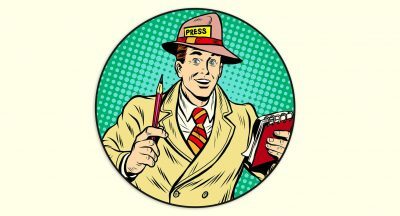 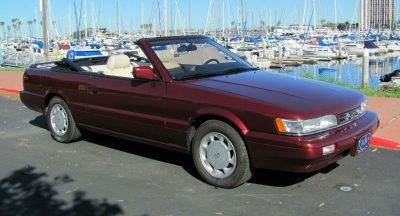 How will it hold up against the competition,.. 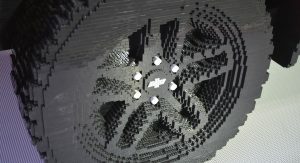 I suppose only time itself will tell.